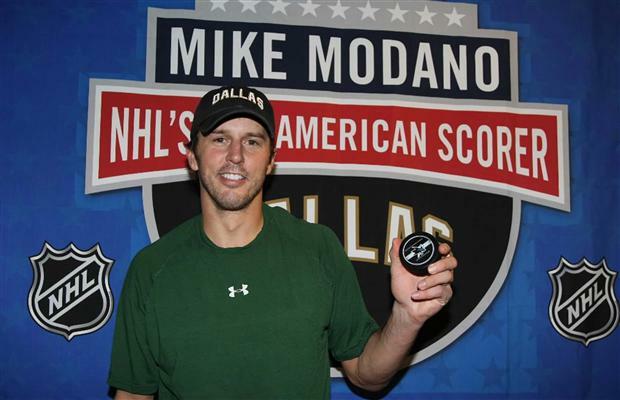 Modano also holds the NHL all-time record for most points scored by a U.S. born player (1374). International competition has played a large role in Mike’s development as an aggressive hockey player. In 1996, 2004 and 2005 Mike played with Team USA in international competition winning a gold medal in the inaugural World Cup game in 1996. He was selected to play in the 1998 Olympics in Nagano, Japan as well as the 2002 games in Salt Lake City, Utah where he led the team to a silver medal victory. His most recent appearance was in 2004 in Tornio, Italy where he served as the captain of the USA Hockey team. 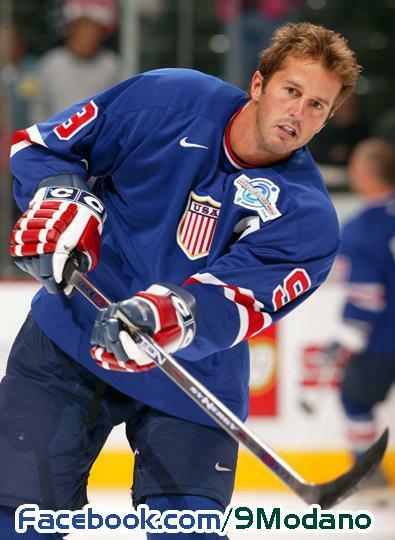 As a way to recognize him for his commitment to his country and the sport, in 2002, Modano received the prestigious USA Hockey Bob Johnson Award which recognizes excellence in international ice hockey competition. The Texas Sports Hall of Fame Selection Committee comprised of media members around the state and chaired by Dave Campbell of Texas Football Magazine fame, chose Mike as part of the Class of 2007. Other inductees include former Dallas Cowboy and Pro Football Hall of Famer, Michael Irvin, North Texas and Dallas Texans standout Abner Haynes, Texas A&M and Houston Oilers defensive lineman Ray Childress, Granbury High School girls basketball coach Leta Andrews, former Texas Tech football coach Spike Dykes, Baylor and Cleveland Browns offensive lineman Jim Ray Smith and San Antonio Spurs coach Gregg Popovich. The Texas Sports hall of Fame is located in Waco, Texas and honors outstanding individuals committed to impacting society through their sport. In 2002-03, Mike was chosen as a finalist for the Lady Byng Trophy. According to the NHL, the Lady Byng Trophy is “presented each year to the Hockey League player adjudged to have exhibited the best type of sportsmanship and gentlemanly conduct combined with a high standard of playing ability.” The Lady Byng Memorial Trophy has been awarded 81 times to 50 different players since its beginnings in 1925. The voting is conducted at the end of the season by the members of the Professional Hockey Writers Association. Mike was honored on Monday, June 23, 2003 at the 38th Annual Dallas All Sports Association for the Children’s Medical Center/ Athlete Role Model Award and the Most Valuable Star’s Player. The Children’s Medical Center/ Athlete Role Model Award is for the athlete who strives to help children, while serving as an example and role model. The banquet at the Fairmont Hotel ballroom included a celebrity VIP reception and dinner with other Dallas athletes. 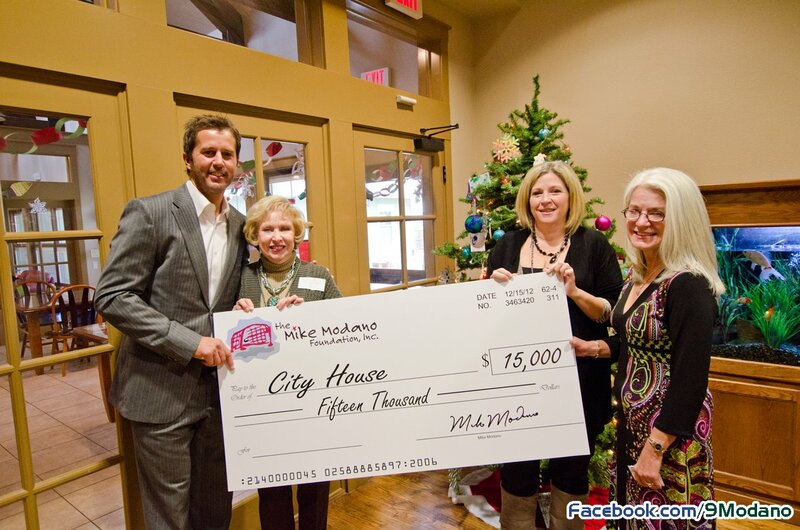 Mike Modano was selected as the 2001-02 honorary spokesman for Score A Goal in the Classroom’s “Teachers Are the Real Heroes” campaign. Score a Goal in the Classroom is an organization that brings together the Dallas/Ft. Worth business community and educators and administrators from the North Texas school systems in a collaborative effort designed to reward students and teachers for excellence in the classroom. The Dallas Stars nominated Mike for the NHL Foundation Player Award during the 2000-2001season for all his community service activities. This award recognizes community service and is accompanied by a grant of $25,000 presented to a worthy cause which the winner supports. The Foundation Player Award recognizes an NHL player who applies the core values of hockey to enrich the lives of people in his community: commitment, perseverance and teamwork. In 2001, Olaf Kolzig of the Washington Capitals was acknowledged for his charity work. Other recipients include: Adam Graves (2000), Rob Ray (1999) and Kelly Chase (1998). In 1998, Mike received the Tom Landry Award of Excellence in Volunteerism by United Cerebral Palsy. Since 1989, Modano has worked very closely with United Cerebral Palsy, supporting the organization with more than just his time and energy. 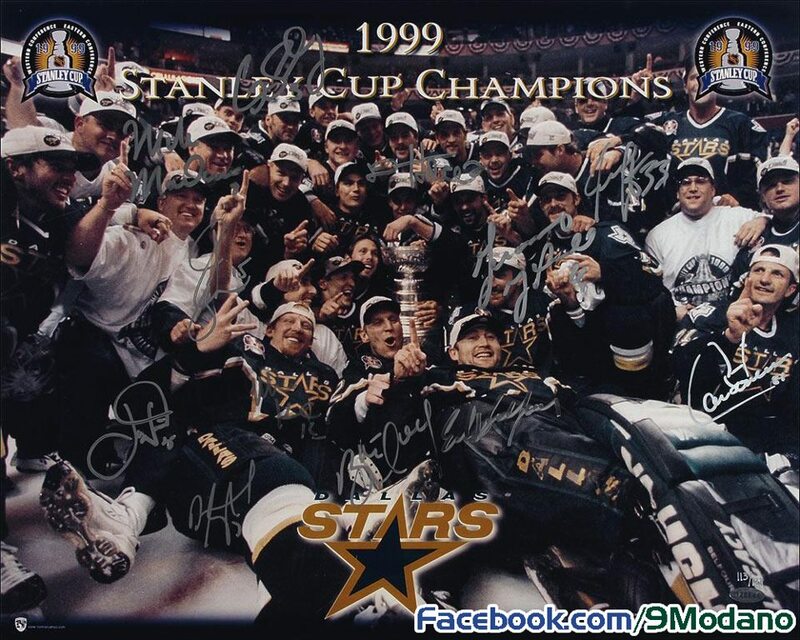 From 1998- 2001, Modano donated $100 to UCP for every point he scored. In addition, he donated $10,000 to the charity on behalf of the Dallas Stars fans from 1995-2001.